FloPlast offer a range of ventilation options which comply with the current Building Regulations 1991 (England and Wales) requirement F2, the Building Regulations (Northern Ireland) 1990 and NHBC recommendations. The regulations are designed to limit condensation risks in a roof void constructed above an insulated ceiling. 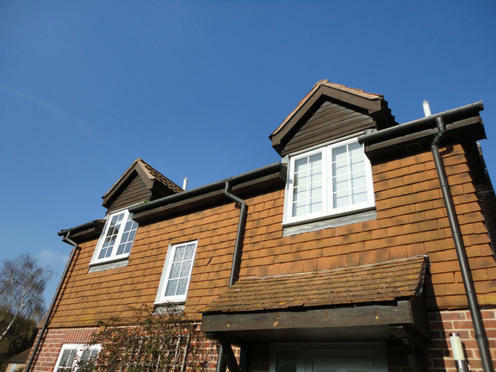 Available in 1.5 metre lengths, Eaves Protection System can be used for refurbishment projects to replace rotted gutter felt and, in new build applications, it reduces long term eaves maintenance problems by directing water away from the underlay into the gutter. It also supports the underlay which prevents ‘ponding’ behind the fascia board. Adjoining strips should be overlapped by 150mm and fixed at 200mm centres. Available with the equivalent of 10mm and 25mm continuous air gap to suit current regulations. The 10mm is supplied in 5 metre packs, each section measuring 28mm H x 35mmD x 500mm L interlinks and has fixing points for ease of installation. 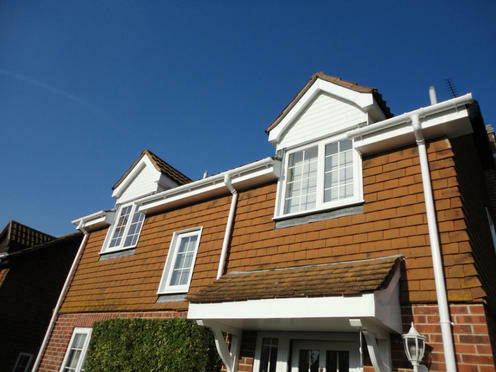 The 25mm is supplied in 1metre sections with 5 metres to a pack measuring 38mm H x 48mm D x 1000mm L.
Because of the added height, when using over fascia ventilation, an allowance to reduce the size of the fascia board should be considered. 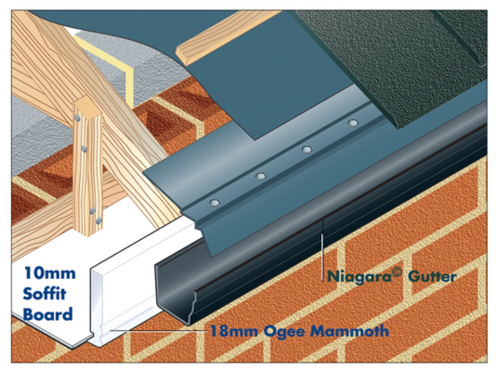 Over fascia vent strip has an integral inhibitor to exclude large insects and vermin from the roof void. 65mm x 3.35mm diameter galvanised steel nails, fixed at 200mm centres should be used to fix the Over Fascia Ventilation System. 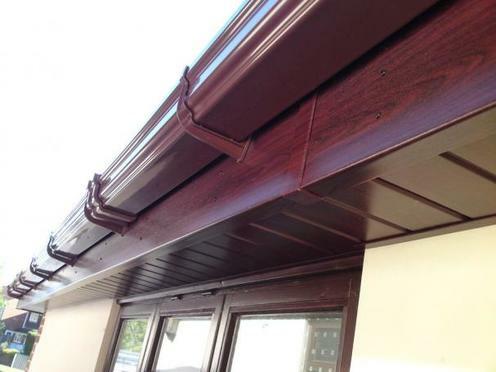 Pre-Vented Soffit boards are also available with the equivalent of 10mm and 25mm continuous air gap. The disc, double disc and soffit ventilator strips add variety and flexibility for the specifier and installer ensuring building regulations are met in all situations.